As I look to leave my mark on the track and field world, I invite you all to follow my journey! Thank you for all the support during these training and competition years! If you are looking for support while you train, coach, or spotlight our great sport, I will be happy to help in any way that I can! New Jersey faithful, Tim attended Deptford Township High School prior to Rutgers University at Camden, where he earned a degree in Psychology. While at Rutgers, Tim not only brought home two DIII National Championships, multiple All-American awards, and the DIII javelin record, but he also led the Scarlet Raptors on the soccer field to their first NJAC Championship as well as an Elite Eight birth in an NCAA tournament. 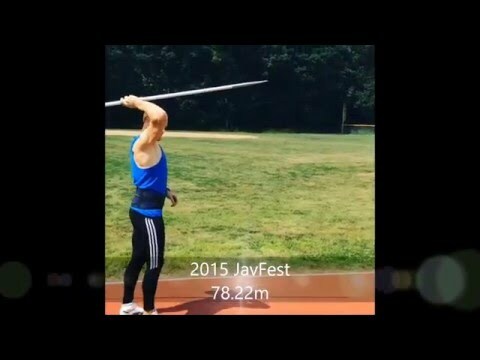 Even more astounding than the records, Tim's journey with the javelin almost didn't happen, only taking up track and field his senior year of high school in order to stay in shape for his freshman soccer season at Rutgers. He first tasted success on the professinal level fresh out of college, where he finished 9th at the 2013 USA Championships and has since worked his way to being one of the USA's top throwers. He says, "What makes my journey unique is the short amount of time I have been competing, I have managed to 'jump the curve' and become a contender for a spot on Team USA. In just 5 years, I have gone from a NCAA Division III thrower to #5 in the country in my event."